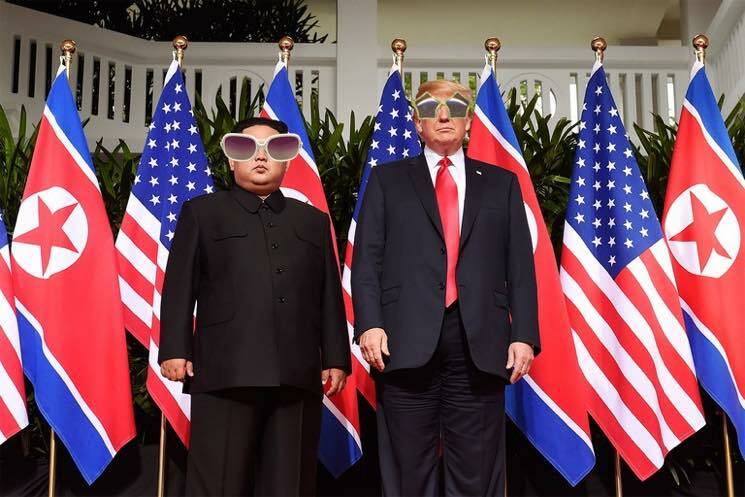 Trump Gifts Kim Jong Un a CD Copy of Elton John's "Rocket Man"
Trump famously has famously referred to Kim Jong Un as “Little Rocket Man” over the past year — an insult to the leader during North Korea’s ramped-up ballistic missile testing last year. As Korea’s Chosun Ilbo reports, Trump brought up his “Rocket Man” nickname in Singapore, asking Kim Jong Un if he’d ever heard the John song of the same name. He said he hadn’t. As such, Trump has sent him a CD featuring the classic tune, which U.S. Secretary of State Mike Pompeo will deliver to Kim Jong Un during his visit to Pyongyang. He arrived in North Korea earlier this morning.